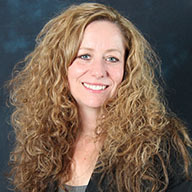 Public health officials regularly explore new and creative ways to promote health and wellness for Arizonans. 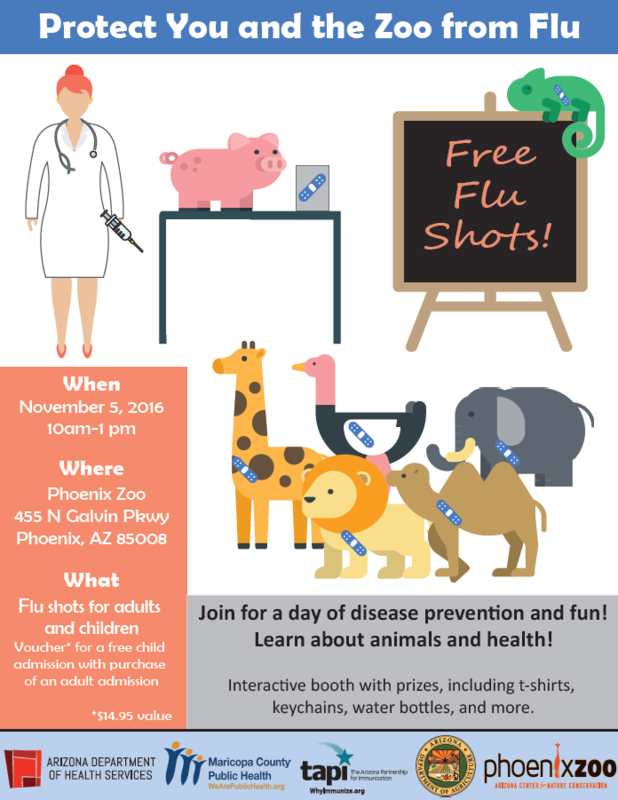 On Saturday November 5, our staff and Maricopa County Department of Public Health (MCDPH) join in a new partnership with the Phoenix Zoo to host a free flu vaccine clinic accompanied with outreach on disease prevention. Last year’s flu season in Arizona was one of the most prolonged and severe, with more than 23,000 cases reported. Additionally, there have been many reports of increased risk for disease spread associated with animal contact, such as novel influenza, Salmonella, and E. coli. “Protect you and the Zoo from Flu” is an event with the goal of minimizing the impact of influenza for Arizona youth and their families, as well as encouraging fun, safe, and healthy interactions with animals, such as hand-washing. Hosting an event of this nature at the zoo is a unique way to promote awareness, engage the community, and share the One Health message about disease prevention across the human and animal interface. “Protect you and the Zoo from Flu” will occur in collaboration with the Phoenix Zoo’s Farm Days. 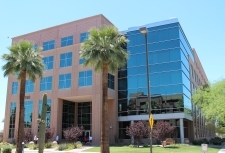 The MCDPH Immunizations Office will administer the flu vaccines from 10 a.m. to 1 p.m. A voucher for a free child admission with purchase of an adult ticket to the Phoenix Zoo will be provided for those that receive their flu vaccine. The One Health table will be at the clinic from 10 a.m. to 4 p.m. with spin-the-wheel and other interactive games to receive additional giveaways, including keychains and t-shirts. Join public health and the animals at the Phoenix Zoo on November 5 for a day of disease prevention and fun.